One of only four US flags that doesn't contain blue, the Maryland flag is a unique combination of two family crests from the Calver and Crossland family lines. 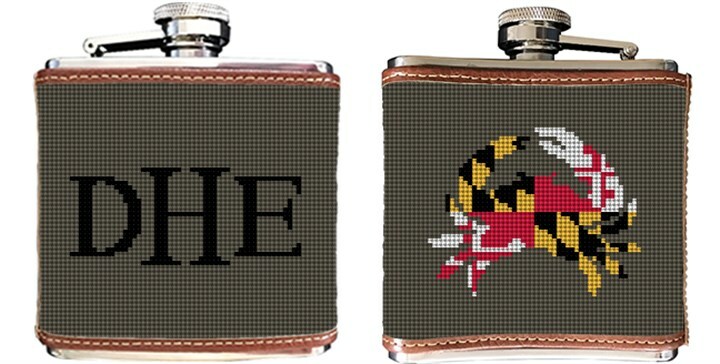 We think anyone who has ever lived in Maryland, would appreciate a stitched needlepoint flask of this image. When planning your canvas please include a monogram to make your flask extra special.